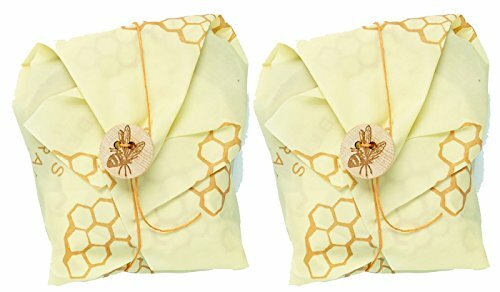 W & P Trading Co.
Bee's Wrap Sustainable Reusable Food Storage Bread Wrap 17" x 23"
It's challenge to divert from the use of mostly plastic for food storage in the kitchen. But, thankfully, there are other options and hopefully this guide can be an inspiration if a plastic-free route is the direction you want to take in yours. 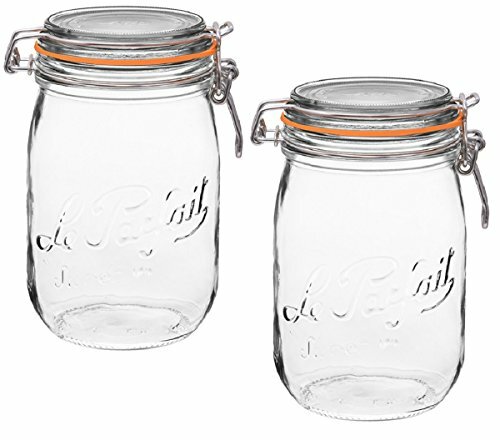 Let's begin with jars. I have every brand of jar shown here, plus vintage ones, and all are useful and pretty. 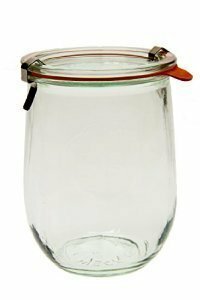 Keep in mind that canning and clamp-top jars can be found pretty easily at estate sales, thrift shops, eBay, and Etsy, too. 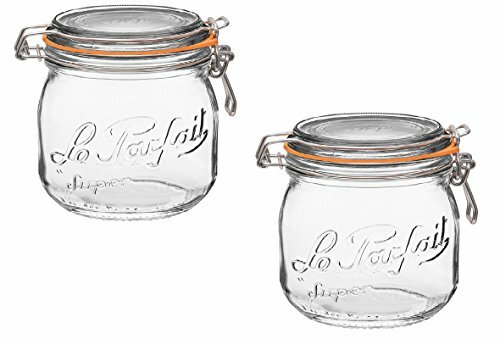 The Le Parfait jars, made in France, are a beautiful, highly functional jar with latex-free gaskets. 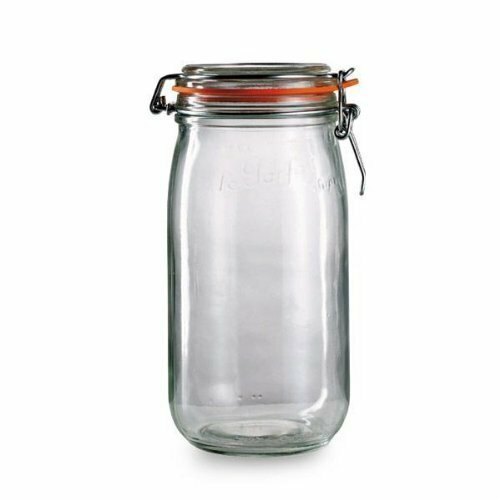 They can be used for canning or storing dry goods. We use the .5 liter size for storing coffee. 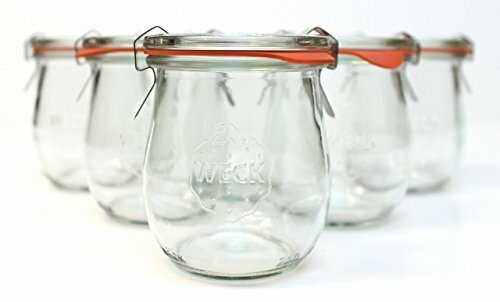 Begun in Germany, the Weck company has been successfully supplying home canning equipment in Europe since 1900. 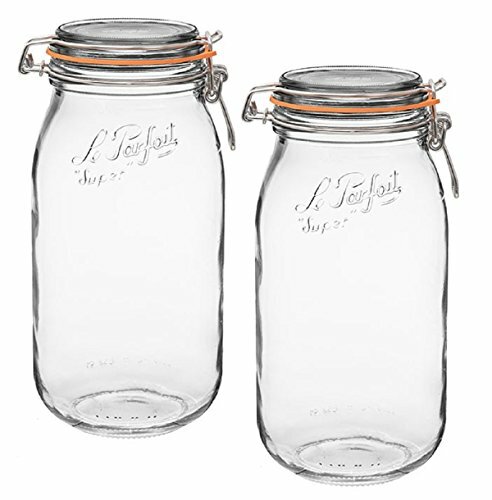 The variety of jar sizes and shapes provide endless possibilities for your food storage. At this very moment, I have a tulip jar in my freezer with pizza sauce inside. 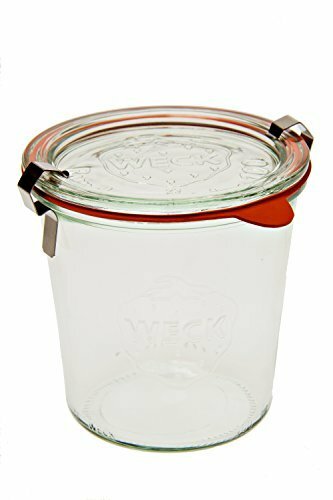 Available standard with the gasket and glass top, Weck also offers plastic, cork, and wooden lids for storing dry ingredients. I've found that decanting products from their original packaging keeps my pantry shelves looking tidier and the food easier to find. 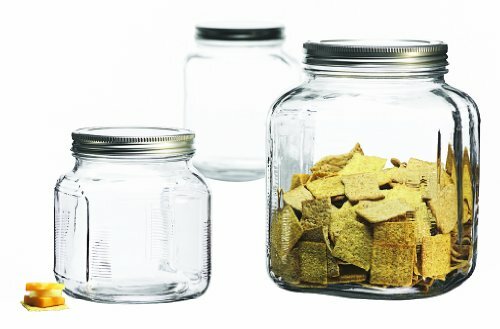 The Anchor Hocking cracker jars are perfect for just that. 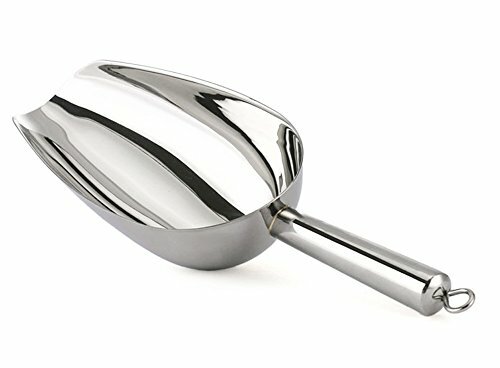 The smaller size is the one we use for keeping a fresh batch of waffle mix in the refrigerator - its wide mouth makes for easily dipping a half-cup out and onto the hot waffle iron. 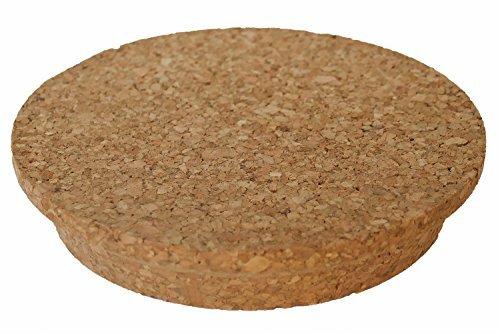 The large size would be great for crackers. 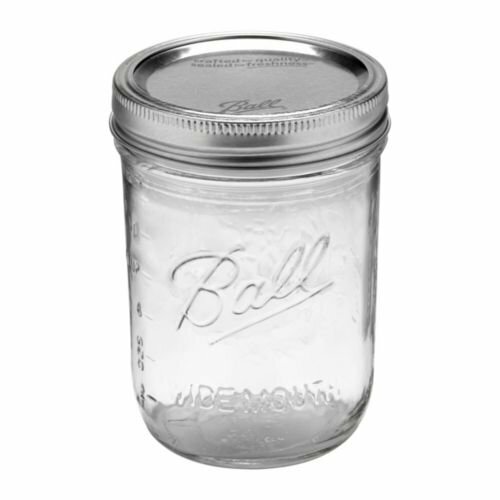 The classic Ball canning jar is a workhorse in my kitchen. These are what I use primarily for storing leftovers in the refrigerator. I have them in a range of sizes from half-gallon (great for a big batch of soup), to half pints (great for pre-chopped ingredients). 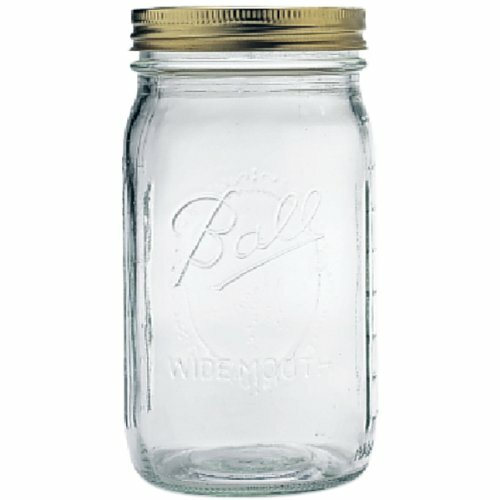 I keep my canning funnel within reach for easy filling. 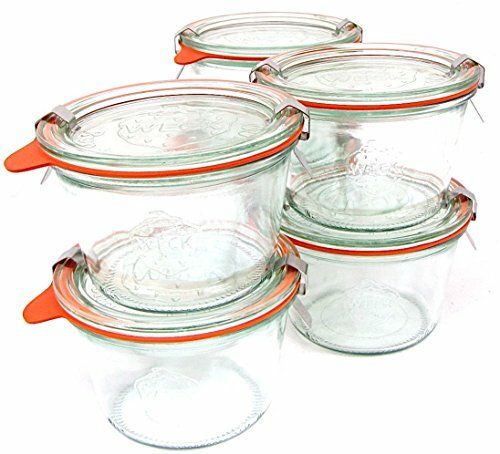 I use vintage Schwann's 2-gallon ice cream tins for my flours (swiped from my mom's kitchen), but if you don't have something like that, these Anchor Hocking Montana jars with their airtight lids would work beautifully. I keep a scoop in both my flour cans for easily filling and leveling of measuring cups. I've just recently decided to decant cold cereal into a penny candy jar and be done with the packaging! No more cereal bags to contend with. And while I'm at it, a scoop for that, too. 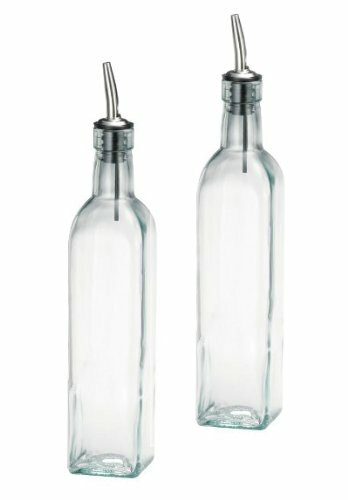 Glass bottles with pour spouts aren't just for oil and vinegar. 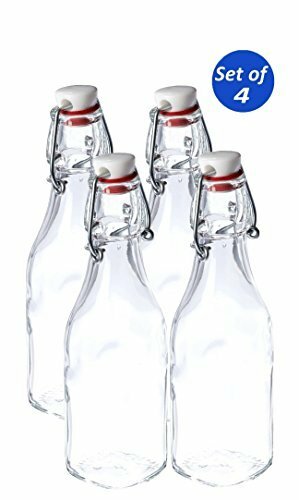 Use them for any liquid that you pour often with one hand. 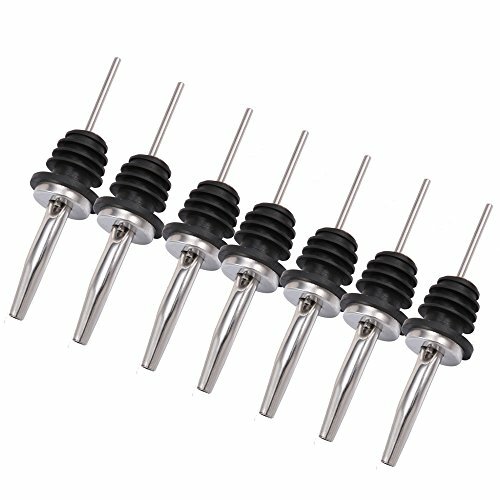 If you have empty narrow-necked bottles such as wine or soda, stainless steel pour spouts will turn them into useful decanters that you don't have to buy. 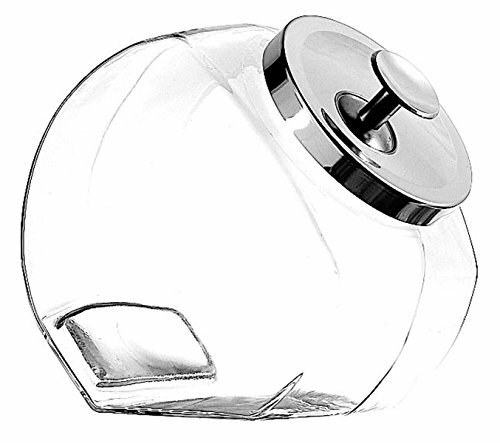 These swing-top bottles by Italian company Bormioli Rocco are great for homemade drinks, brews, and flavored vinegars. I use mine for vanilla extract. Have you heard of Bee's Wrap? 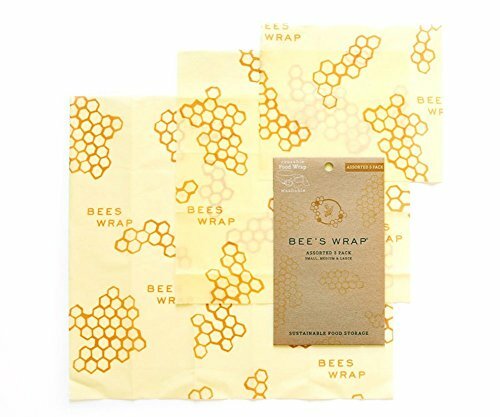 Bee's Wrap is a natural alternative to plastic wrap for food storage. It's made from GOTS certified cotton cloth covered on both side with a formula of bee's wax, organic jojoba oil, and tree resin. It is reuseable and will last up to a year with proper care and regular usage. Cloth is making a place for itself with food storage. 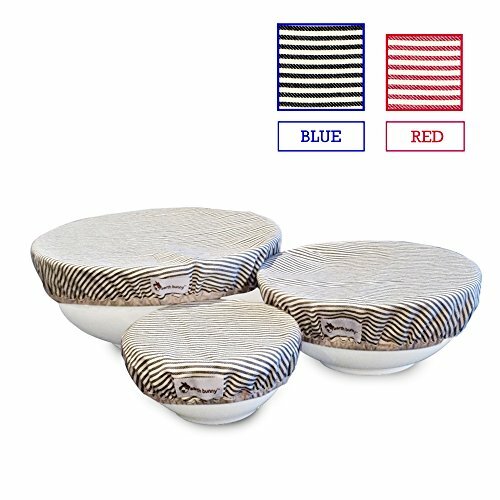 These cotton bowl covers are useful for covering leftovers, covering a dish for a potluck, for keeping flies off the food at a picnic, and for proofing bread. Two women, 20-something friends from Quebec, Canada believe that a simple action can make a difference. 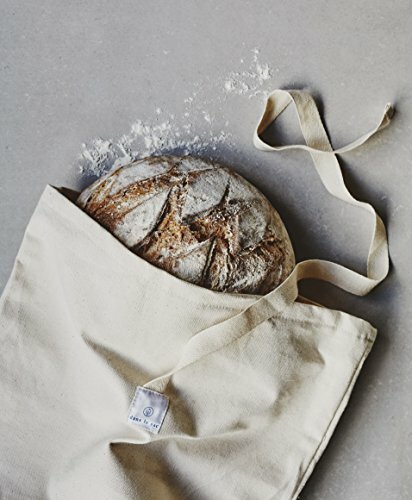 When they looked for cloth bread bags in which to store their homemade bread, they couldn't find any. 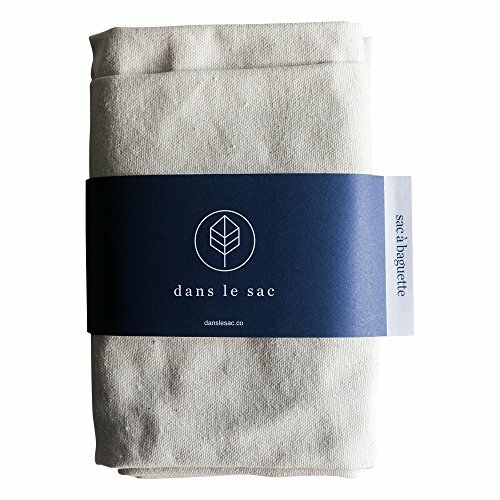 So, they began making 100% cotton reuseable bread bags and their company, Dans le Sac, was born. I've been following these two inspiring women on Instagram, and wholeheartedly support their work. 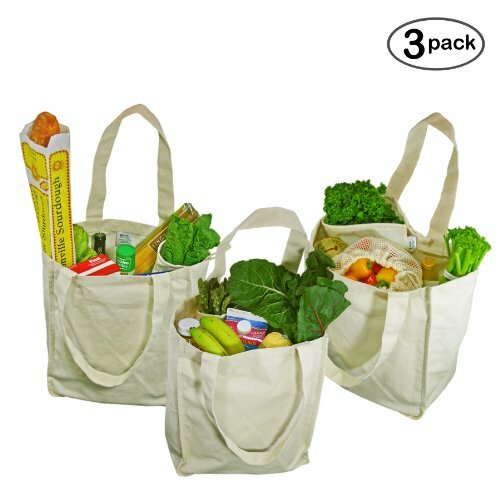 Simple Ecology is a California base company that designs eco-friendly cloth bags for shopping and food storage. 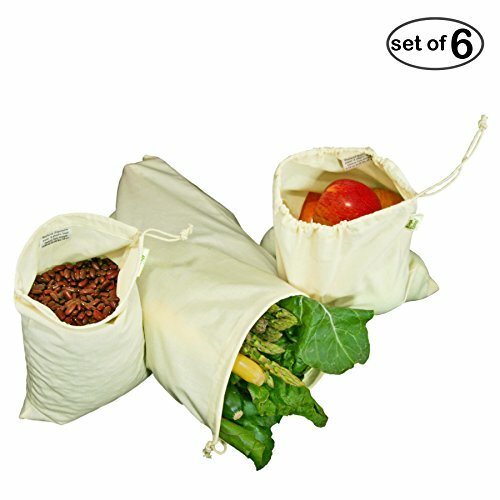 I have the cotton muslin bags and they are beautiful and well made. Sewn-in tags indicate tare weight, making check-out quick and easy. 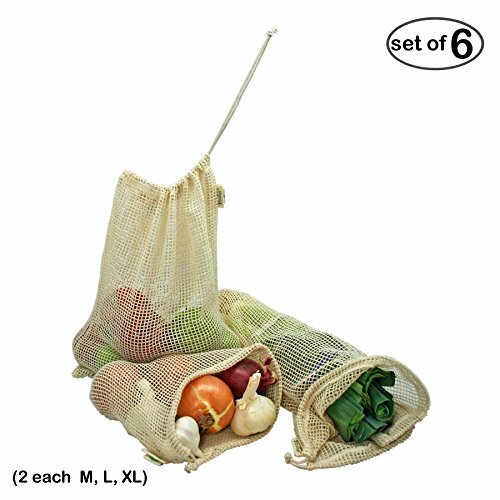 The mesh produce bags stretch to hold vegetables and fruit easily. 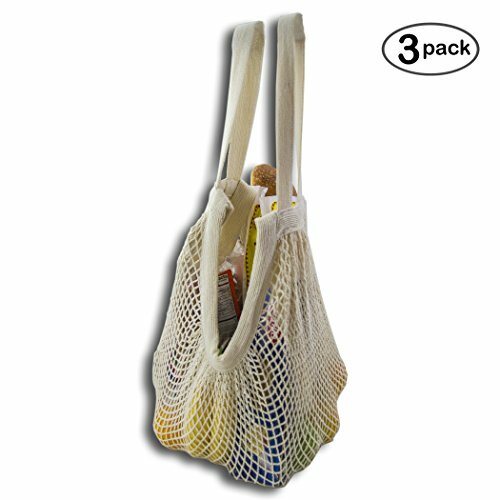 The shopping bags have interior bottle pockets, and the mesh market bag can hold more than you might expect. 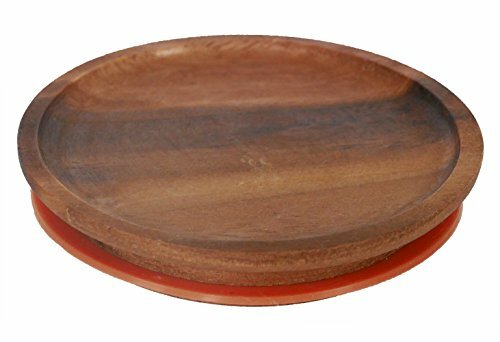 Simple Ecology products are designed, packaged, and shipped in California, and produced in India. Close up open bags with pretty clips and clamps. 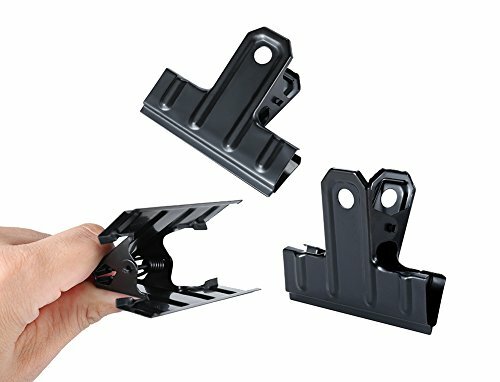 These black bulldog clips are large enough for what you might need and look so much nicer than the plastic "chip clips." I keep a couple hardwood clothespins in my kitchen drawer for quickly clipping what might need it. So handy. And pretty. Sometimes, you need a disposable option. 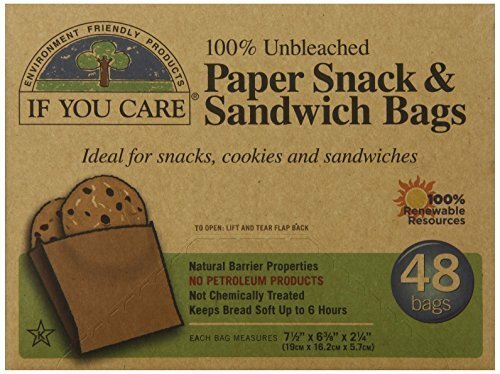 These unbleached paper snack and sandiwch bags are ones to consider. 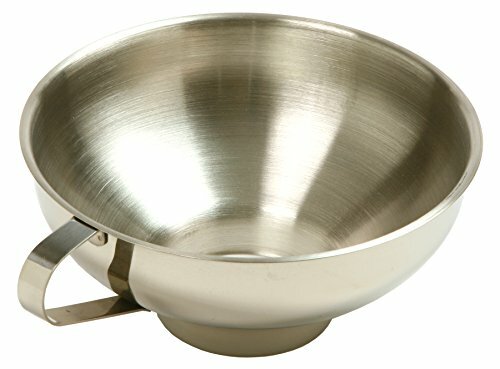 Good for sandwiches, baked goods, and dry snacks. Having a selection of stainless steel is a good idea. 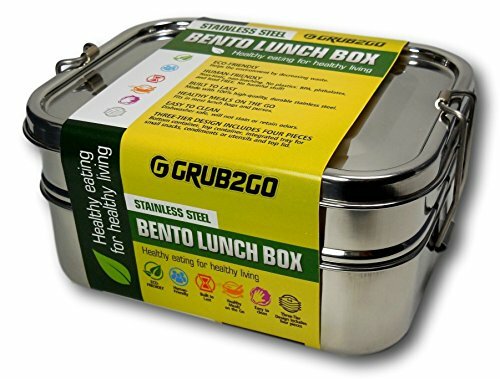 This stainless lunch box has three compartments and a lid that clamps in place. Do you have little ones who need on-the-go snacks in an unbreakable container? 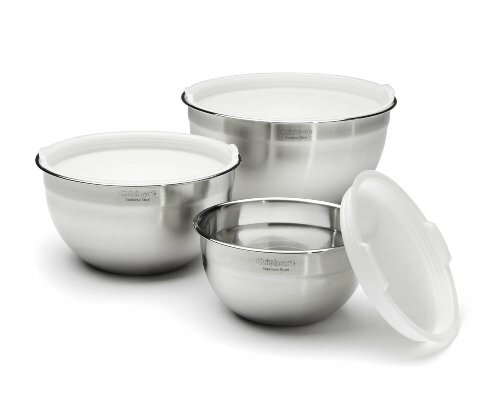 This set of three mini bowls with lids is just right. 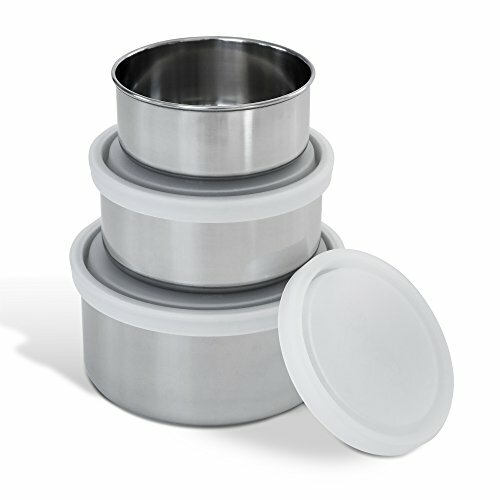 A set of big bowls with tight-fitting lids work great for picnics, camping, and refrigerator storage. 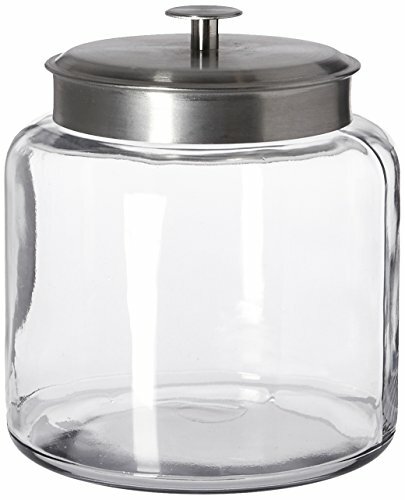 If you're just starting out, I would recommend: Ball jars in a variety of sizes, a canning funnel, assorted size Bee's Wrap, a bread bag, eco shopping bags of your choice, your choice of clips, and a stainless lunch box.